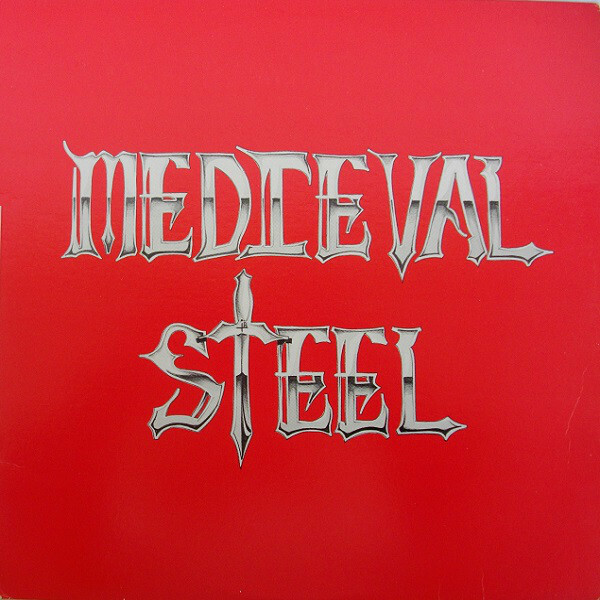 Of gigantic mirth and gigantic melancholy, Medieval Steel‘s eponymous song is the finest they ever wrote. It wouldn’t be cruel to say that this one song somewhat sustained and certainly resurrected a sputtering career, at least to a point where the band is regularly invited to true metal gatherings before audiences old and young. There are other songs in the band’s armory, including those from Dark Castle, the belated, self-financed follow-up released in 2013, but ‘Medieval Steel’ the song understandably remains the centerpiece of their performances, a real galvanizing force of nature that can raise goosebumps on the arms of metal’s most curmudgeonly. Do you sense the small-mindedness, the vicious pettiness on display here? There is an unhappy breed of person who thrives on belittling a thing of honest adulation with irony and sarcasm. Lost on him is the incongruency of using these tools of derision against a song which in spirit is the very antithesis of everything craven, underhanded, and effete. The irreverence and clueless rebellion of teenage years may have helped him think himself unique and against the grain in a time of hormonal turmoil, but to hang on to so much self-loathing in advanced age is a sorry sight and one unfortunately only too prevalent in current metal discourse. Conceivably, as others tell me, irony, sarcasm, and satire are not without literary value; that may well be the case, in literature, but not in metal, never in metal. If you care to talk about this music, make your words blunt and resound like hammer blows, and not the mewling, life-denying sophistry of the hipster dandy. Steel of sword and steel of conviction, painfully simple yet profound philosophy. In such things is found some essence of ‘Medieval Steel‘, too. What man with hot blood rushing through his veins has not identified with this ideal at one stage or other in his life, claims of toxic patriarchy (hah!) be damned. What man, if not a dog, if not given to delusions of martyrdom, can gleefully turn the other cheek when he or his are bathed in the antagonist’s spittle? Polite society might domesticate him, its constraints might gentrify him, but instinct prevails when pushed to the brink like the proverbial call of the wild. This then is the essence of ‘Medieval Steel‘. Truth be told, there is little that is novel about the song as a piece of music. It is an anthem, it plays to the arena, it has very standard structure, all attributes that can be used to describe countless other songs from the era. The song’s rhythm is based around a simple galloping E-D-E-G-C-D progression in the natural C major scale. There is delicate interplay among these four notes, from which C, D, E are shared by C major with its relative minor scale Am. They are the source of the vaguely wistful air of ‘Medieval Steel‘ which when contrasted in passing with the decisively bright major note G usher it into the realm of the epic transcendent. All this is hyperbole to the cynical ear, probably, but how else to describe this feeling of almost overwhelming love when you hear a certain section of metal music? I feel it when the brief guitar solo appears in the opening bars of ‘Medieval Steel‘, I have felt it when shimmering arpeggios introduce Manilla Road‘s ‘Astronomica‘, I have even felt it on a level as granulated as a single bend on Deceased‘s ‘A Very Familiar Stranger‘. It is a feeling of complete surrender, what the philosophy of my country calls “bhakti” or devotion in conjunction with a supreme deity, when all you can do in the moment is sit back in awe and muse with vindication on the existence of such an innocent, unadulterated thing. It is the closest thing to a spiritual experience I know of. This entry was posted in Heavy Metal, Thoughts and tagged medieval steel, tennessee. Bookmark the permalink.